Front Fender from 82 Suzuki GS550M Katana. No breaks/cracks. 09 - 13 Original Honda OEM Red Front Fender CRF250R CRF450R - NICE! Cycra Red Cycralite Front Fender for Honda 10-13 CRF250R 09-12 CRF450R - NICE! 00 Suzuki Intruder 1400 front fender from 2000 VS1400 - VIDEO. Green two tone. 86 HONDA VT700C NICE REAR FENDER OFF RUNNING 1986 SHADOW 700. VIDEO. 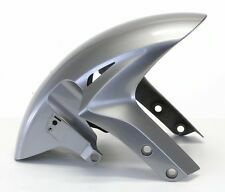 Kawasaki 82 KZ550 LTD front fender. See Video. 00 Suzuki Intruder 1400 rear fender from 2000 VS1400 - VIDEO. Green two tone.